Salem’s 5th through 8th grade students participated in an inspirational assembly on Wednesday, September 13th. 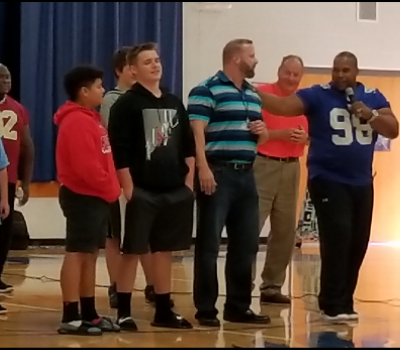 Former NFL players Keith Davis and Clarence Lee were joined by entrepreneur Tommy Jackson as they presented Champions for Today. 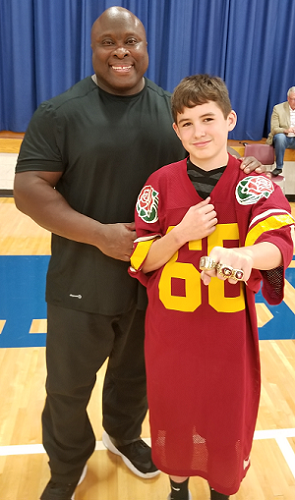 Keith Davis is a former USC Rose Bowl champion and New York Giants Linebacker. He grew up in a rough LA neighborhood and experienced many trials and tribulations as a child. In speaking of his own past, Keith expressed many memorable statements. He recalled for Salem students how he struggled at reading. When frustrated, his teacher taught him something that he will never forget. “You don’t have to be great to get started, but you have to start [somewhere] to be great” was a phrase that he still lives by today. Keith had Salem students chant PUSH and explained how they should continue to Persevere Until Success Happens. Clarence Lee is a former Florida State lineman with extraordinary strength. Weighing only 85 pounds in high school, Clarence never played high school football. He dreamed of becoming big and strong. He made his dream a reality by hard work. He worked his way up to doing 4000 push-ups a day. It would take him 3 hours to complete them. His all-time best bench press was 650 pounds. 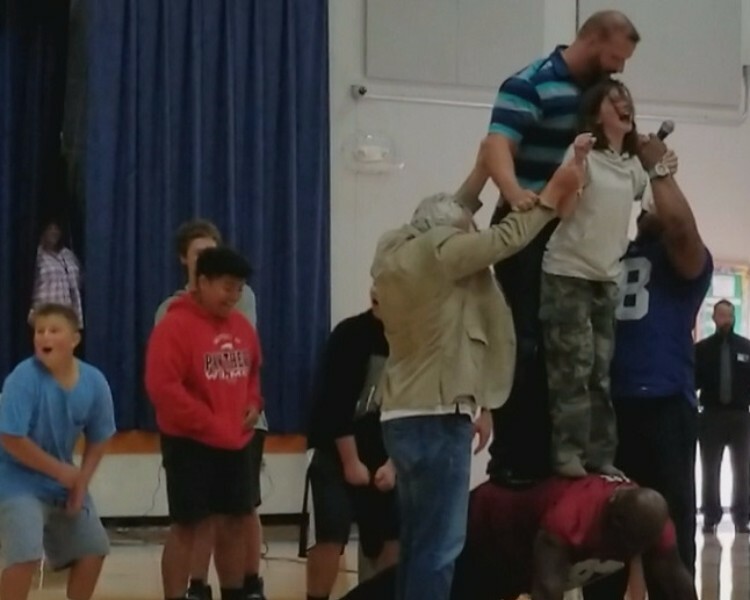 Clarence showed off his extreme strength in front of Salem students by completing a push up with Assistant Principal Schlick and an 8th grade student on his back. He also cracked a wooden baseball bat over his spine. Clarence told of a life lesson in which he learned that to truly be strong you must be kind and forgive. He encouraged students to “break through” the obstacles put before them. Tommy Jackson is multi-million dollar entrepreneur who joined Keith Davis and Clarence Lee for their visit to Salem. Tommy impressed upon students that being successful financially is not the key to happiness. He stated that “pain is pain” be it physical or emotional pain. He urged students to not dish out pain towards one another and to avoid relationships that cause pain. “Look at your footprints” is a statement that Tommy made to students. 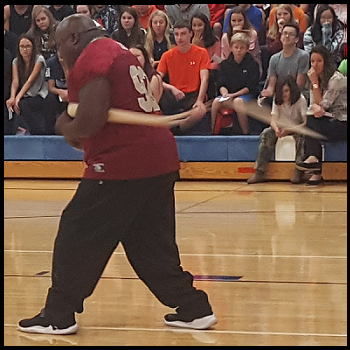 He then appealed, “If you are headed in the wrong direction, stop!” He encouraged students to then head in a different direction.